Could this be on the cards? The 2019 WWE Superstar Shake-up is done and dusted. Without a doubt, this was the biggest Superstars Shakeup in the past few years as we saw some of the biggest names in WWE swap brands in two nights. 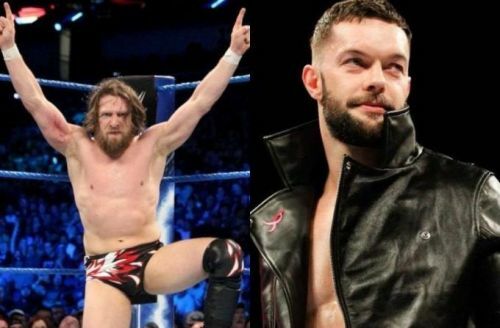 Usually, WWE depletes the SmackDown roster during the Superstar Shake-up but this time they have instead strengthened the blue brand by transferring the likes of Roman Reigns, Lars Sullivan, Elias, Bayley, Kairi Sane and Finn Balor to SmackDown Live - with Drew McIntyre possibly joining the blue brand as well. Perhaps the biggest talking point of the entire shakeup was the shift of Finn Balor, as the Irish superstar has brought the Intercontinental Championship along with him to Tuesday nights. 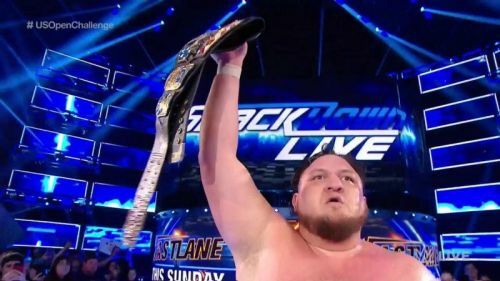 #3 What's next for the United States Champion Samoa Joe? While a report emerged yesterday that the United States champion, Samoa Joe was scheduled to have a segment with Braun Strowman on RAW, The Destroyer had to stay off TV due to sickness and travel issues. We instead got a segment between EC3 and Braun Strowman, while the mid-card champion of RAW, Finn Balor moved over to SmackDown Live. The interesting thing to note is that WWE.com still shows Samoa Joe as a member of SmackDown. So, the prime question which arises here is regarding the status of Samoa Joe. What will WWE do in this situation? Will they announce Samoa Joe's move to RAW via social media or will they have Joe appear on RAW as a wild-card pick of the Superstar Shake-up? It is highly unlikely that the US title will stay on SmackDown now that the Intercontinental title has arrived to take its place. Thus, Samoa Joe's move to RAW is all but guaranteed, and as of now, Braun Strowman seems to be his first challenger.